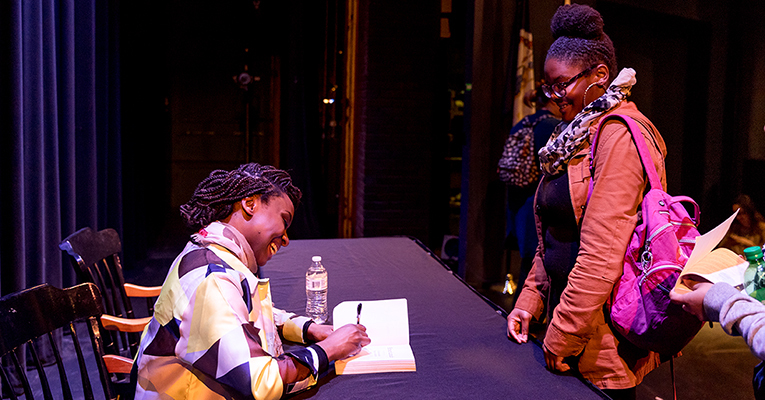 Chimamanda Adichie signs DaZané Cole’s copy of “Americanah” after her talk at Sweet Briar College on Nov. 1, 2018. A vibrant, passionate brown girl sits in her ninth-grade honors English class, and she is enraged. The class has been reading Nigerian writer Chinua Achebe’s novel “Things Fall Apart,” and she is trying her best not to. She loves to read and discuss and analyze books. The world abounds with complexity, and so does she. This class has been an interesting journey into what the world was, what it will be, and who she is. The world’s paradoxes and its cruelties are not new to her, but they ache all the same. She is at a roiling boil as the class debates colonialism and imperialism. No one seems to grasp, as she does, the raw overwhelming pain the character of Okonkwo and his fellow villagers must have felt to have their homes — their culture — invaded, plundered and refurbished in the name of a god they did not know, to have their story shaped into a knife that would be wielded against them for the rest of history. At this moment, as these thoughts run through the brown girl’s intricate and budding mind, her teacher Mrs. Cheney decides that today, she will play a TED talk for the students. That TED talk, “The danger of a single story,” would change everything. As the Nigerian writer Chimamanda Adichie begins to speak, gliding across the stage and addressing herself, it feels, directly to the girl, a lull comes over the class. The students watch intently, while the brown girl hangs on every word, nodding enthusiastically, mentally marking quotes and ideas, giddy for discussion. She is enthralled by this woman and immensely grateful that Adichie graced the stage with her presence and articulated everything she, the brown girl, was feeling, had been feeling, and would continue to feel about the danger in a single story. Now imagine this brown girl at 19, in college, and reading an email on her phone and feeling elated. The common read for the upcoming year is Adichie’s novel “Americanah,” and she will be visiting campus! Instantly, the brown girl can remember who she was when she first encountered Adichie and is thrilled to have the honor to hear her speak in person. When the day finally arrives, she cannot wait for the talk to begin. She finds a seat in the middle of the auditorium, centering herself in a place where she can clearly see the speaker. She takes her green notebook from her purse and grabs two pens — one black and one red; it is better to have a system. The lights dim, and Adichie is given a fabulous introduction that leaves the brown girl feeling floored and full of awe. 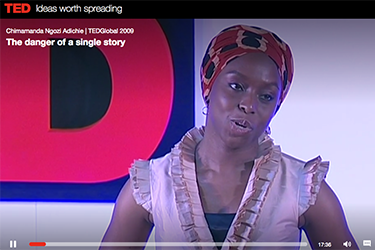 Following this, Adichie enters the stage, gliding as gracefully as the girl remembers from the TED talk. She is lively and bright and beautiful, opening up her presentation by talking. Many speakers tend to speak at and not to their audience, but Adichie is talking, and the brown girl feels again as if she is speaking directly to her. Adichie is on the stage at Sweet Briar College and she is sharing her thoughts and feelings. Her ideas abound and fill the space and minds of those eagerly lending their ears. 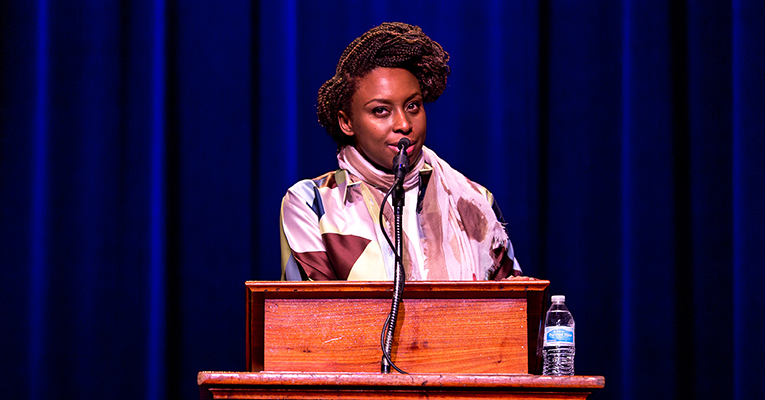 Adichie speaks at Sweet Briar College on Nov. 1, 2018. Adichie spends nearly 50 minutes discussing a plethora of intertwining ideas about the world, ideas about sexism and racism and feminism. She does it eloquently, with thought and care, openly. She is breathtaking and real and right here in front of the brown girl! She is articulating, once again, many of the thoughts the girl has about the complexities of the world and the intricacies of occupying space in this universe as a brown girl. Adichie is powerful and her speech is a thought-provoking analysis and declaration for us to look into the underbelly of the beast America is becoming, with its slip into mundanity, and she issues a call to take action. This brown girl is in awe and spends an hour or two afterward passionately discussing everything she just heard with her best friend. She knows this is one of many conversations she has had and will continue to have with her best friend about the world and their experiences first as brown girls and then as black women occupying this space in the universe. This brown girl is me, and I am extremely honored to be awarded the opportunity to describe my experience with Chimamanda Adichie’s visit to Sweet Briar College. Missed Chimamanda Adichie, or want to know what else is happening? Keep an eye on upcoming Sweet Briar College events! Want to have an experience like DaZané’s? 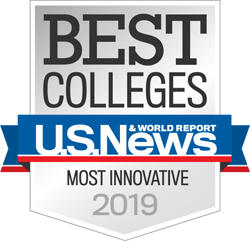 Apply to Sweet Briar College today so you can be here next year! 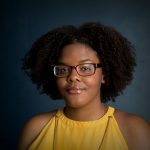 DaZané Cole is a junior biology and psychology double-major with a minor in chemistry from Hartford, Conn., who currently lives in Hampton, Va. She is the co-editor-in-chief and design editor of Red Clay, Sweet Briar’s literary magazine. She also is the Black Student Alliance secretary and a member of various other clubs, including Tau Phi, the Chemistry Club and Model United Nations.